For the second time our company GRENA, a.s. participated in the most important international trade show for air conditioning, energy-efficient heating, bathroom design and renewable energies called ISH 2017 in Frankfurt am Main, held from 14 - 18. 3. 2017. 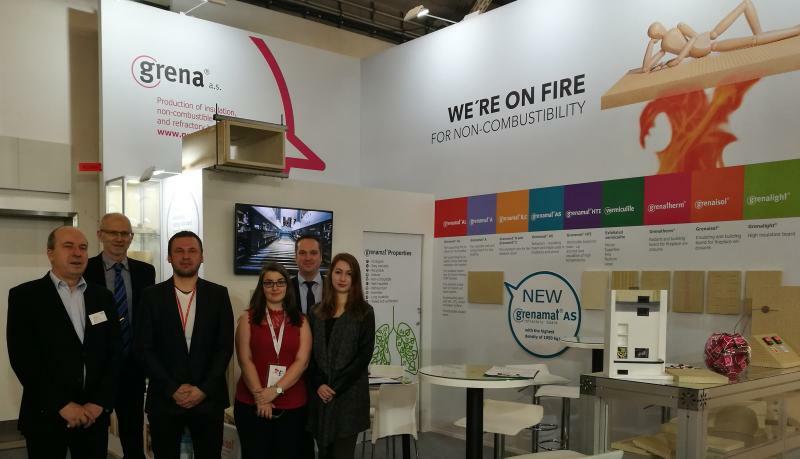 Just as it was back in 2015 our company’s stand was located in hall 9.2 which focused on heating, section building and energy technologies. 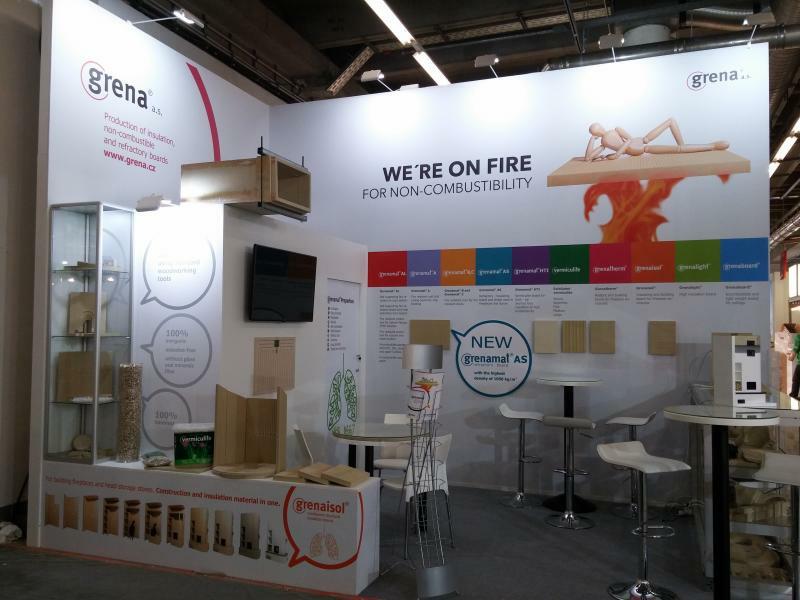 The aim of the exhibition was to present GRENA, a.s. as a traditional manufacturer of non-combustible and 100% wholesome boards and the exhibition of our products. Thanks to the excellent work of our research and technology team we were able to present refractory insulation board Grenamat AS in the unique bulk density 1050 kg/m3. The main focus of the exhibition was the board Grenamat AS in all bulk densities which is designed for high-temperature constructions in fire places for temperatures up to 1200 °C. Other attractions were the wholesome structural insulation board Grenaisol used for fire place surrounding as well as the light wholesome insulation board Grenalight. All of our boards created great interest from our distributors, potential customers and also from our competitors. As in the previous year our exhibition attracted many visitors from all over the world – from 46 countries including New Zealand, Brazil, South Korea, Japan or Iran. Our exposed products and design of the stand aroused a very positive response. We would like to thank all visitors of our stand, both existing and potential business partners for the time spent with us in our stand, and we are looking forward to meeting and the lasting cooperation for the future.